Kol Ami members are committed to practicing Tikkun Olam/repairing the world both in our individual lives and as a community. 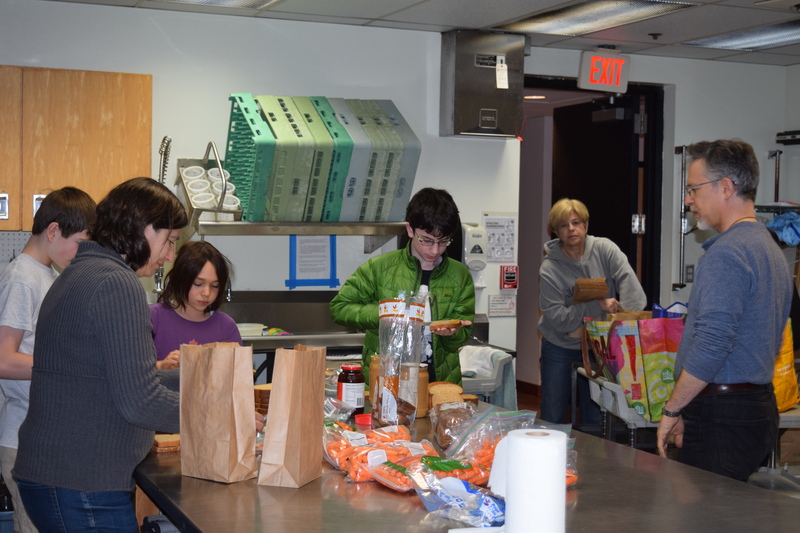 Throughout the year, our community engages in group Tikkun Olam activities, including a community-wide High Holidays activity. Representative projects include collecting household goods for refugees, food drives, preparing and delivering bagged meals to homeless adults, participating in a community clean-up at a neighborhood park, collecting blankets and toiletries for homeless adults, gleaning. and volunteering to help repair homes. In addition, members are encouraged to find and share individual Tikkun Olam activities. Also under the Tikkun Olam umbrella is Kol Ami’s “Nitzavim” initiative demonstrating the congregation’s commitment to human rights and civil liberties. Through the Nitzavim initiative, Kol Ami educates members and others, makes its voice known on public policy matters, and offers opportunities for collective and individual action. Since its inception, the Nitzavim effort has focused especially on protecting the rights of immigrants and asylum seekers. We support members’ Tikkun Olam projects that they are interested in leading. We focus on projects where members can be actively involved and the work addresses a local need. It is an honor to participate in the Jewish tradition of helping to repair our world and community.